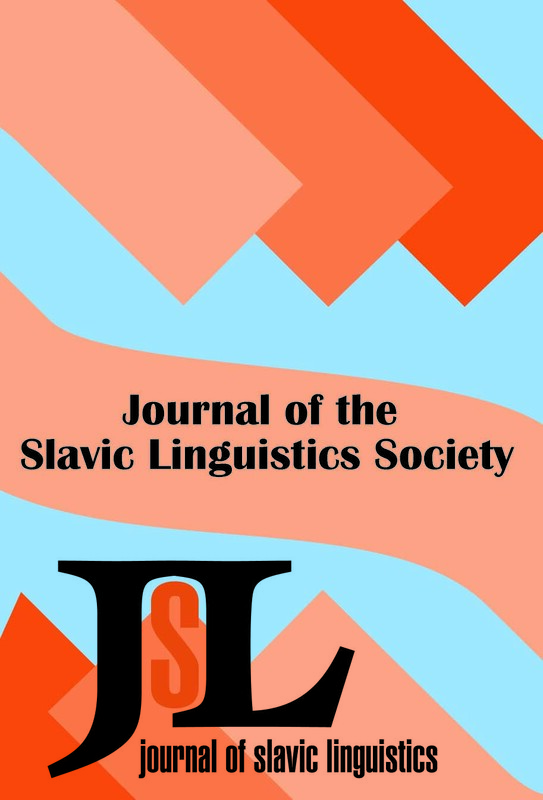 Abstract: This article discusses different modes of expressing ingressivity in the Slavic languages – the grammatical expression of ingressivity (by means of imperfective verb forms) and its lexical expression (by means of the use of stat' as an ingressive phase verb or perfective procedural verbs prefixed with za-) – and relates them to one another as two competing systems. It is shown that these phenomena are in complementary distribution: languages that imploy the contextually-conditioned imperfective past to a high degree only imploy stat' and za to express ingressivity to a very low degree or not at all, and vice-versa. More specifically, the contextually-conditioned imperfective past is characteristic of the extreme western end of Slavic (Czech, Slovak, Sorbian, Slovene), whereas stat' and za are characteristic of an eastern group of languages (Russian, Ukrainian, Belorusion, Bulgarian); two languages (Polish and Serbo-Croatian occupy a transitional position between the two groups. Finally, the respective modes of expressing ingressivity are discussed within the theory of Slavic aspect developed in Dickey 1997. Abstract: This article explores the ellipsis of configurational Accusative direct objects whose antecedents are Accusative or Nominative noun phrases. Ellipsis potential is shown to vary significantly among the three Slavic languages under study, according to the continuum Russian > Polish > Czech. Within each language, however, patterns of ellipsis are largely predictable based on the interaction of syntactic, lexico-semantic, and discourse factors. Abstract: First published in 1976 as no. 10 in the series Universitet i Oslo. Meddelelser. Slavisk-baltisk institutt. The clitics are introduced and listed in section 1. Section 2 deals with the question of movable clitics, and section 3 with the relative ordering of clitic pronouns and their cooccurence constraints. The present tense of the auxiary verb/copula sâm, the future particle ste, the negative particle ne, the question particle li, and the particle da are discussed in sections 4 - 8. Section 9 takes up questions in connection with stressed auxiliary verb forms, and conclusions are given in section 10.